Dermastir Wrinkle Filler is an anti-wrinkle treatment with a dual action: a filling action that fills the wrinkle, and the muscle relaxing action that can relax wrinkles. 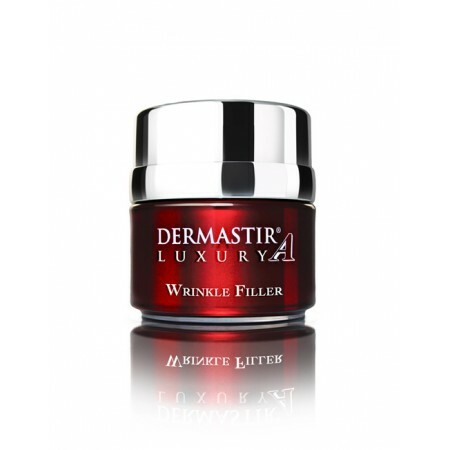 Dermastir Wrinkle Filler is able to relax and smooth out both superficial and deep facial wrinkles. Dermastir Wrinkle Filler reduces expression lines and wrinkles after application; it reduces the appearance of wrinkles on the forehead, it counteracts the relaxation of the eyelid and makes expression lines around the eyes and around the lips less visible. It can also reduce the appearance of skin blemishes such as acne scars, stretch marks, rosacea and large pores. - The main strength of the product is the combination of filling ingredients with muscle relaxants in one formula. - Fills in wrinkles with results that are visible after application.